Numbi gate opened in 1926 and was the first entrance to the Kruger National Park. 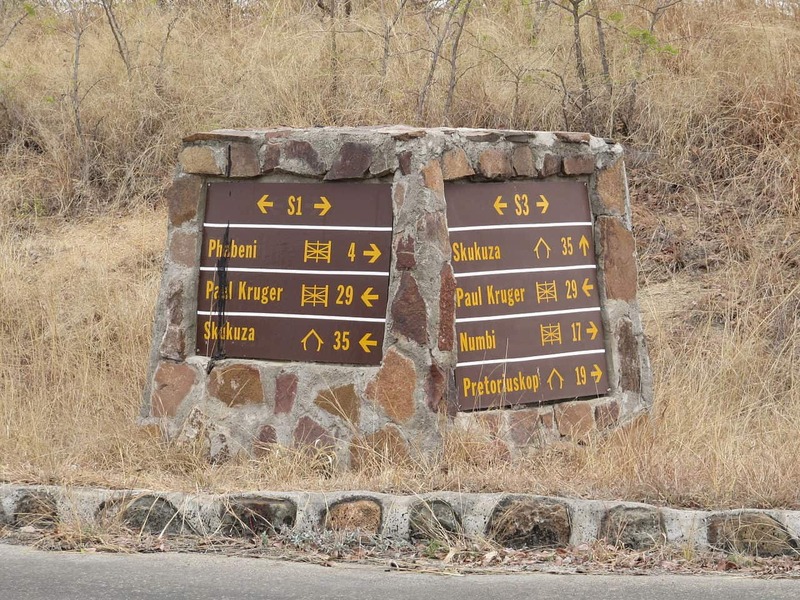 Situated 9km from Pretoriuskop, it is still the quickest route to the camp for Kruger Park safari groups. Pretoriuskop is one of the highest rainfall areas in the Kruger National Park and therefore the vegetation is known as sourveld is thick. This thick foliage makes the game difficult to spot. While the modern history of the camp goes quite far back, its prehistoric era goes back some 3 500 million years! Pretoriuskop sits between massive granite rock formations, the result of lava pushing through the surface millions of years ago. Named after the Voortrekker Willem Pretorius, the camp gets its name from the nearby hill where João Albasini buried Willem Pretorius after he died in 1845 on an expedition to Delagoa Bay. João Albasini was a pioneer trader, passionate tradesman and big game hunter in the area. The ruin of his house and shop can still be seen at Phabeni Gate. Old photos and artefacts can be viewed there. 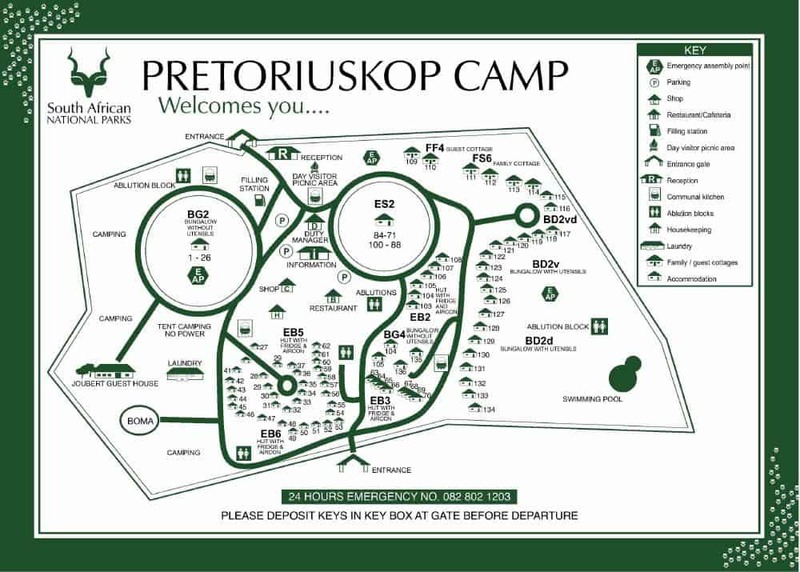 Pretoriuskop is affectionately known as the friendly camp and was the first rest camp to be opened to the public in the Kruger National Park. The whole camp was formally a ranger’s garden, so it’s the only camp in the park that has non-indigenous trees. Red flamboyant and maroon bougainvillaea can be seen throughout the camp, giving it a striking and memorable appearance. Marula, sycamore fig and Natal mahogany surround the swimming pool area. The swimming pool was sculpted into the rock. Although not in use, several huts dating back to the 1930’s have been meticulously restored. The huge Indaba Tree under which the ranger Harry Wolhuter held his staff meeting is still in the camp. Marula, sycamore fig and Natal mahogany trees surround the swimming pool, a much loved and appreciated attraction in the camp. The swimming pool was sculpted into the rock. As for the accommodation in the camp, there are plenty of options for overnight guests. Although not in use anymore, several huts dating back to the 1930’s have been meticulously restored. Harry Wolhuter, known for his saga of being attacked by two lions, was one of the parks first rangers. His camp, named “Wolhuter’s Camp”, was the first accommodation and is now effectively, Pretoriuskop. Other huts, bungalows and camping facilities are pretty affordable and are ideal for guests looking to spend their first night. The huge Indaba Tree under which the ranger Harry Wolhuter held his staff meeting is still in the camp. Other famous names associated with the camp is Jock of the Bushveld, the beloved hound owned by Sir Percy Fitzpatrick. The dog was born in 1885 along the Voortrekker Road, which runs south east of Pretoriuskop. A number of other historic landmarks can be found by following this road, which according to history was the same route the Voortrekkers used on their way to Delagoa Bay. Although the vegetation in the area is dense, leopard and buffalo sightings in this area are regular. 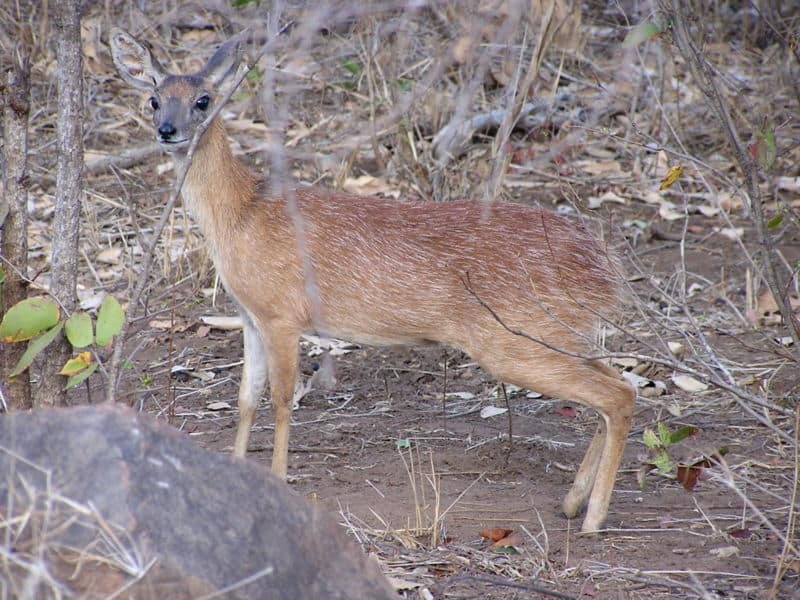 Red duiker and Oribi, as well as Waterbuck and kudu, are also animals regularly seen in the area. Black and white rhino and elephant can be seen on the route roads around the camp. Hippopotamus can be seen at Mestal Dam and Reedbuck is sometimes seen at Shitlhave dam. A drive around a loop road will take you to the Shabeni Mountain, which is the biggest undisturbed rock face in the Kruger National Park. Joining this road is the Albasini Road which has a watering hole known for animals sightings. Klipspringer and baboons are also often seen along this road. An abundance of birds can be seen in this area. Fork-tailed Drongo and Black-crowned Tchagra, are the most common birds spotted. Colourful bush-shrikes can be found in the thicker shrubbery. 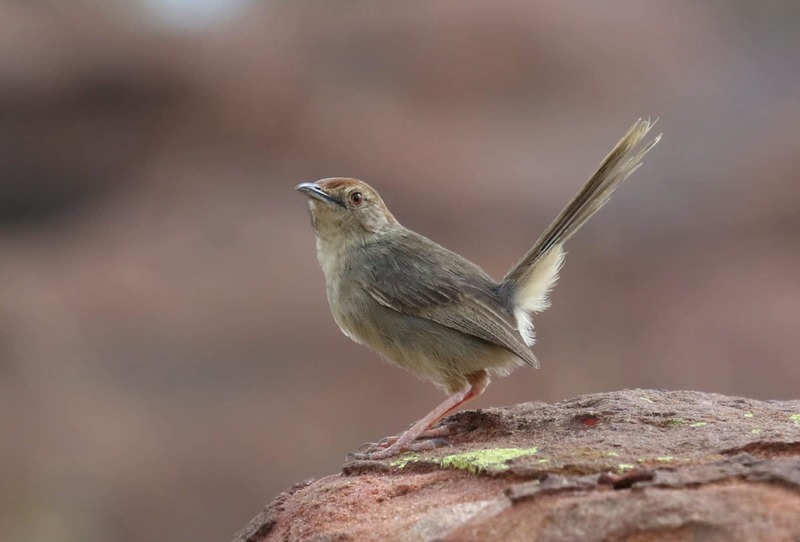 Lizard Buzzard’s can be seen in the Shabeni area, as well as the Mocking Cliff-Chat, Southern Boubou, Lazy Cisticola and Brown-crowned Tchagra. Raptors can also be seen soaring around the rocky slopes of the Shabeni rock formation. The camp accommodation ranges from the camping area to very basic huts to luxury guest houses. The camp also has a restaurant, post office, laundromat, petrol station and picnic area. To make any stay at the camp a really exciting experience, there are a few activities on offer. Guided bush walks, camp trails, bush braais and even a 4 x 4 adventure trail are available to guests. The location of the camp also makes it a popular stop off for Kruger Park safari drives. With an easy to get to location in the south of the park, and offering so much to see, it’s not difficult to understand just why Pretoriuskop is a favourite camp among locals! Ready to set off on an African adventure? Kurt Safari has the ideal Kruger Park safari package just for you. Book your travels to the Kruger National Park with us and experience a truly magical African safari!